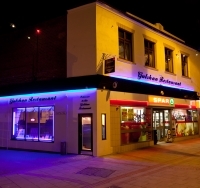 In a bright modern restauraunt the Gulshan offers fine indian cuisine dining in Newtown Powys the heart of Wales. The Gulshan has provided 12 years of excellent service. Our talented and skilled chefs are constantly experimenting and creating brand new dishes exclusive to the Gulshan using our very own unique recipes, using the finest fresh authentic ingredients. The restaurant and its unique dishes have won many awards for excellence and quality. Recently The Gulshan was rated by The independent Newspaper as one of the top 50 Curry Houses in the UK. In 2012 while trading at The Black Boy The Gulshan obtained an exceptional score of 4 for Food Hygiene and was recognised by Trip Advisor as a 3+ rated property. So why not come and see us soon. Ranked as one of the best restaurants in Newtown, check out our 5 star rating and reviews from Trip Advisor.